The following provides brief descriptions of some of Summerland’s early pioneers and families by volunteer Judith Chidlow. There is much more information on these families in our family files at the museum, which members are welcome to access for free. You can also read more about pioneers in the Anglican Church Cemetery Tour by David Gregory HERE. Irvine Clinton Adams was born on Sept. 2, 1902 in Swan Lake, Manitoba. He was the youngest child of Silas Hamblin Adams and Ann Jane (Jennie) Docking. His siblings were a half-brother Ernest (from an earlier marriage of Silas), Clarence, Helen, and Fairy. The Adams family arrived in Summerland from Manitoba in March 1904. Silas purchased property in Garnett Valley in 1907 from the Garnett Valley Land Company that he began farming. In 1916, Silas died and Ernest and Clarence continued to farm the property, which they inherited from their father. Irvine Adams with one of his paintings with an Okanagan Lake scene. After graduating, Irvine and Helen both worked in the packing house. Irvine took a printing course and did posters for local businesses, but it did not prove to be very lucrative. In 1934 Irvine began taking art courses at the H. Faulkner Smith School of Applied and Fine Arts in Vancouver. He shared a small apartment with his sister, Fairy, who was taking a dress design course at the Wescott School of Dress and Design. Fairy began teaching sewing at Coqualeetza Residential School where she met fellow teacher, Doreen Milsom. Doreen visited the Adams family in the summer. She and Irvine were married in August 1936 and lived in a small cottage on the farm in Garnett Valley. Irvine and Doreen formed the Milsom Candy Co. making handmade chocolates in the Adam’s home. These were marketed locally through the Hudsons Bay Co. In 1940 Irvine went to Montreal with Pat and Don Agur and Bob MacLachlan with plans to enlist in the war but was rejected as being too old. Irvine then worked in airplane maintenance in Montreal and Halifax, and Doreen joined him in Halifax. Irvine and Doreen returned to Summerland after the war and lived on Peach Orchard Road. Irvine was an ardent gardener and kept a trout pond, which he was very proud of. Irvine was employed as a labourer by Kenyon Construction and the Agur Logging Company. He worked as a faller, scaler, and lumber grader on the Bald Range and at the mills at Curtain, Thirsk, and Osprey lakes until 1961. When working in the camps, Irvine painted in the evenings from photographs that he had taken. Over the years, he began submitting his work to art shows. Irvine became better known for his work in London, Paris, and the U.S. than locally. Some of the places that his work was exhibited included the International Art Show in Kelowna, the Royal Institute Galleries, the National Art Festival in New York, the Spring Salon in Paris, and the Royal Institute Show in London.In May 1971 one of his pictures “On the Trail of the Okanagans” was presented to Queen Elizabeth II when she visited Penticton B.C. Doreen helped support them by writing jingles and entering contests for different products winning money and even a new car. She was also interested in preserving land from development and was an ardent supporter of the Okanagan Similkameen Parks Board. Over the years they were able to purchase nine lots surrounding their home, which became the nucleus of the Adam’s Bird Sanctuary in Summerland. By 1961 Irvine was doing his art full time as he prepared for his first big local exhibition in November at the West Summerland Library. As he became better known, he became busier and people waited for up to four years to receive work that they commissioned. Irvine Adams died in 1992 and Doreen in 1996. George Barclay came to Canada in 1885 intending to take up cattle ranching. He worked for Tom Ellis and started his ranch with 620 acres in the present-day Summerland provided by his father. Having built a log cabin, he raised funds in England to purchase a large property from David Lloyd-Jones. In 1891, water rights were obtained though his efforts to divert water to his ranch were not very successful. He pursued his business idea of "a teaching ranch” and advertised back home for pupils to come to the sunny Okanagan, and they came. He was looking for "Gentleman Ranchers" in England, men who would be interested in learning about cattle raising, horses, and riding the range. He convinced some of his Harrow School classmates to come (Foster, 1998. p. 55). George Nevil Barclay and Caroline Mary Cornwall were married September 4, 1897 in Ashcroft, British Columbia. They farmed in Summerland and by 1901 had two children. In 1898, construction of St. Peter’s Church began with the labour of ranch hands from the Barclay and Gartrell ranches. The Barclay household in 1901 consisted of George and Mary and two sons aged 1 and 2, Basil Laurance, lodger; brothers Forbes and William Fosbery, boarders; a cook and two domestic servants. They sold the ranch and moved to Ashcroft Manor by 1902 as Caroline wanted to return to her home, and shortly after she died of a rattlesnake bite. George then married Caroline’s sister, Maud. Ralph W. Deans worked on the Barclay Ranch. He formed a partnership with Bob Faulder, but after a year, he became a constable in Midway. Robert “Bob” Faulder was George Barclay’s first pupil. He arrived in 1891 or 1892 and moved to Upper Trout Creek to ranch with partner Ralph Deans in 1902. Will Fosberry arrived in Summerland in 1896 and became an outstanding contributor to community life in church, sports, and politics. Granville Morgan arrived in B.C. in 1893 and worked for various ranchers in the Summerland area. He settled in Trout Creek as an orchardist. Richard Turner arrived in Summerland in 1896. He married Sarah Pierre and lived Upper Trout Creek. Later he established Canyon Ranch, which was sold to Granville Morgan around 1904. James Gartrell arrived in Trout Creek in 1885 from Ontario (near Stratford) and pre-empted a piece of land, cleared it, and built a home with the logs. He brought his wife Mary and family from Ontario via Spokane in 1887. They were the first white settlers in the area. He started Summerland's first commercial orchard with apple trees he brought from Ontario in 1887. Peach trees were soon added, and they had a large impact on Summerland’s history. He was also granted the first water license (1888) in order to dam the waters of Trout Creek, thus providing irrigation to his fruit trees. His peaches were hauled to Camp McKinney and Fairview in a wagon pulled by a team of six horses to provide the miners of with fresh fruit. It took three days to make the round trip. This was the beginning of fruit marketing in Summerland, later an important business. Like most pioneers, he found various ways of earning money. He built a wharf near the mouth of Trout Creek and sold firewood to steamboats from it. In 1896, they built a barn and a frame house for the family. The house was also used as a post office briefly. James died in Summerland on July 26, 1930 and was buried in the Anglican Cemetery there. More information can be found HERE. James and Mary Gartrell on their wedding day. ca. 1920s. James and Mary Gartrell sitting on a porch. Kichinojo (Jack) Imayoshi, Mac Kuroda, Tom Kato, and Kew Kita (at front) sitting in decorated car that is pulling the Japanese float for the Golden Jubilee parade in 1956. Kichinojo Imayoshi was born in Japan in 1890 to a very poor farmer. At the age of 17, after hearing of glorious fortune in America, he decided to leave Japan to earn money to send home. There were no passports to the mainland US, so he went to Hawaii. In 1907 he was working on a sugar plantation in Honolulu when the US government closed its doors to Japanese immigration. Imayoshi and over 1000 other young men boarded a boat to Vancouver. After a large anti-Japanese riot in Vancouver, he went to work on the CPR. He bounced around for a while trying to find work in Vancouver and northern BC but had no luck. He eventually found himself working in an orchard in Summerland in the summer and chopping wood in the bush in the winter. He returned to Japan in 1919 to get married. He brought his wife back to Summerland and they raised two sons and three daughters. After much hard work and struggle, they established a successful orchard at what is now the site of Summerland Secondary School. He died at the age of 105 in 1995. Wellington Clifton Kelley was a lawyer in Summerland when it seemed there wasn’t any need, but he still managed to keep busy. Mr. Kelley arrived in Summerland in 1909 with his wife, Laura Marie Antoinette Mott, and everyone assumed his stay would be short. This was not because of his chosen profession but rather that he was terribly ill when he arrived and was rolled into town off a boat on a stretcher. He was suffering from tuberculosis, and it was believed the climate of the Okanagan was a worthy cure. Even the captain of the S.S. Okanagan wouldn’t blow the ships horn for fear of stressing his ill passenger. This sort of reaction was to be expected with how Mr. Kelley dealt with some of his cases. One example was a case that depended on the identification of the guilty party. The incident was a robbery at one of the Lower Town stores. The only witness to have seen the suspect only saw him from behind, running from the scene of the crime. The witness claimed that he knew who the thief was because he worked with the man and had seen him run everyday to the outhouse and back again. But Mr. Kelley argued that seeing someone run to and from the outhouse made no sense. Running to the outhouse was understandable, but running to return to work did not match the characteristics of someone who becomes a thief. And with this observation, the accused was pronounced innocent. Kelley was later declared the Judge of the County Court. ca. 1940. Jack Lawler packing apples in a box. ca. 1951. Jack Lawler. Photo by Maywood Photo Finishers. John Lawler, known as “Jack,” managed the Summerland packing house of the Okanagan Fruit Union from 1911. He had come to Summerland the year before to be packing manager for Sterling and Pitcairn, independent fruit packers. When he started packing, Okanagan fruit packers were Chinese immigrants and young boys. Jack decided to train women to pack fruit, starting with seventeen women, the first to be so employed in the region. Summerland’s production that year was about 20,00 boxes of apples and peaches. His training was so successful that he was asked to train for the whole Okanagan Valley. These women earned what was considered good money at the rate of 4 cents per box. Jack also displayed local fruit to shows in Chicago, Portland, and Spokane. He became the World Champion Apple Packer at such shows. In 1916 he chose the first fruit grader to be used in the Okanagan Valley for the Summerland Fruit Union. He supervised cooling of fruit to an even 40 degrees Fahrenheit using chopped ice to keep it in good condition. Jack left Summerland for a few years, spending eight years demonstrating fruit packing and grafting for the federal government. 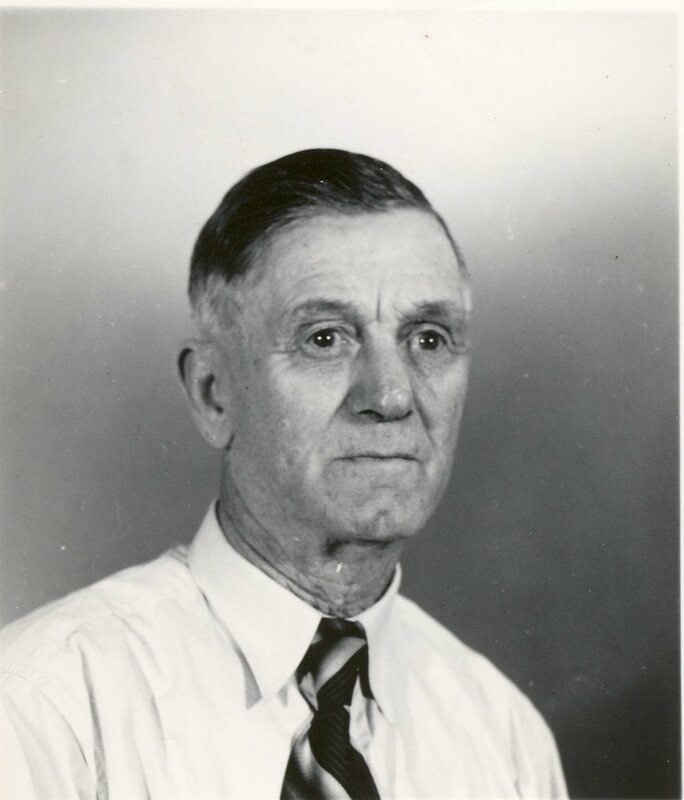 He taught fruit packing at the Ontario Agricultural College in Guelph; MacDonald College in Quebec; in Kentville, Nova Scotia; and Fredericton, New Brunswick. Jack returned to become B.C. Fruit Shippers’ first manager in 1929. Foster, Sherril. (1998). According to the Giant: A History of Summerland and the Okanagan Valley in British Columbia.